INSTITUTE OF EXPERT SERVICES | I.E.S. 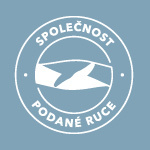 We are educational and grant center of Společnost Podané ruce o.p.s. We provide vocational courses in the field of social services, school and health care facilities and other care occupations as well as for the lay public. Our aim is to provide education with regards to current trends in the field and the requests of our clients. The highest professional standard is ensured by the wide network of experts as well as the accreditations granted by Ministry of Labour and Social Affairs, Ministry of Education, Youth and Sport. Occasionally we also organize specialized conferences at both national and international level on a variety of selected topics from the field of drug issues. In case you are interested in a course/conference/workshop lead in English language please contact our education coordinator Petra Klašková at ies@podaneruce.czor +420 777 916 259. We will be glad to create a custom made education offer based on your needs and requests. 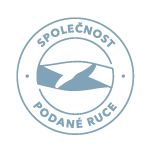 Should you be looking for a partner organization for your international project feel free to contact our project manager Zora Smerigová at smerigova@podaneruce.cz or +420 773 784 475 or reach the head of the department Martin Boxan directly at boxan@podaneruce.cz or +420 777 916 277.